Allow me to introduce myself .... I am far more than a casual sports fan. I run this sports blog and have a Twitter account dedicated exclusively to sports. Baseball is probably about 5th on my list of sports that I follow year round. But I know what's going on at all times. I am also in my early thirties. I am well educated and middle class. I'm single and have no children. So I have disposable time and disposable income. In other words, I am the demographic that Major League Baseball absolutely must have watching the All Star game if they intend to remain at all relevant in the national sports consciousness as the years progress. And yet, the MLB All Star game is not appointment television for me. What will earn the Midsummer Classic a spot on my iCalendar this year? Yasiel Puig. And yet, the idea of including Puig in the the All Star game is somehow controversial in the baseball world. Yasiel Puig is a 22 year-old, rookie outfielder for the Los Angeles Dodgers. He is a Cuban defector who came to the United States via an escape to Mexico in 2012. Without even seeing Puig play, you can tell he is something unique. The man is built like an NFL linebacker. His hitting statistics are amazing. He is batting over .400 with a slugging percentage threatening .700. But some of Puig's finest work has actually been done on defense. Puig has made some dazzling throws from right field. And the guy can really run the bases, too. It's not just his home runs that have elevated his slugging percentage. It's also his ability to stretch a single into a double. Puig is the rare, true, 5-tool player. 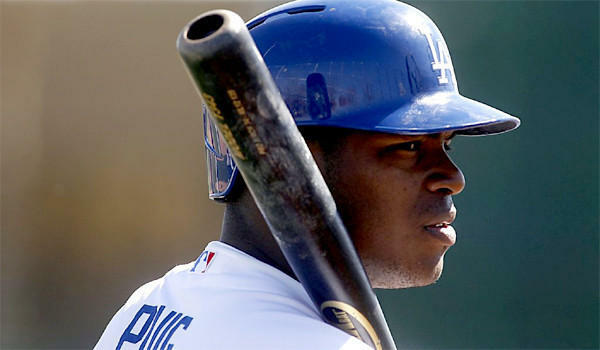 In June, Puig was named National League Rookie of the Month and also National League Player of the Month. So, why is the idea of including Yasiel Puig in the All Star game so controversial? Well, the legitimate reason is that Puig has only been in the major leagues since the start of June. Baseball is a sport that is all about the long haul. Since Puig's body of work has all taken place over the short time span of one month, there are legitimate questions about whether he's a good player or only having one good month. But, the real reason Puig is controversial is because the self-appointed gate-keepers of baseball are amongst the most pretentious group of people in America. They make the Academy of Motion Pictures voters look like a group of common film fans. This week, Jonathan Papelbon, a closer for the Philadelphia Phillies, went so far as to call the idea of Puig making an appearance in the All Star game "a joke." 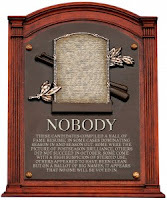 I'll tell you what really is a joke: The over-blown, self-importance that baseball insiders place on the All Star game. At the end of the day, the All Star game is a spectacle put on to entertain the fans. It's entertainment. Pure and simple. 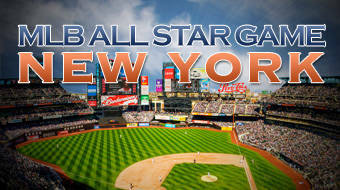 And don't be fooled by the MLB marketing campaign claiming that now the All Star game counts. It only "counts" because the fans were not entertained when 2002 All Star game ended in a tie after both squads ran out of pitchers. Entertainment value is the reason that the starting lineups are selected by the votes of the fans. And, entertainment value is the reason that every team must have a representative on the team. It's so that every fan has someone familiar to tune in to watch and cheer for. Well, the fans want to cheer for Yasiel Puig. They couldn't vote him into the starting lineup because he was down in Triple A for too long to start the season. The players and managers, including the aforementioned Jonathan Papelbon, had the next chance to give the fans what they want. They chose not to. Of course, they couldn't put him into one of the eight pitcher slots they had to select. But they also chose not to make Puig a back-up for any of the outfield slots. Next, came the manager's turn. And Bruce Bochy of the San Francisco Giants also decided that protecting some imagined concept about the integrity of the game was more important than entertaining the fans that pay his salary. As manager for the NL squad, Bochy got to name the next nine members of the National League roster. 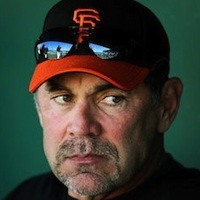 Bochy couldn't find a place on the team for Puig ... who, by the way, plays for his team's arch rival. So, 33 members of the 34-man All Star roster are set. Fortunately for MLB, the fans get one last chance to get the most exciting player in baseball into next week's All Star game. Puig is on the list of five players that the fans can choose from in the online voting for the final roster spot in the National League. I expect that the fans will do the right thing. And then MLB should thank the fans for getting me and the rest of my demographic to tune into the game.